Welcome to #INTERVIEWED, a series of discussions of creators of all likes from around the internet! Today we’re joined by the artist formerly know as Zodiac Princess – ADELICATE! D: First of all, what do you do on your corner of the internet? A: I like to think of my YouTube channel as my own personal piece of the internet – something that really represents my personality. In particular I like to upload videos to do with things that I enjoy but usually keep to myself for example: my love for anime, cosplay, Japanese fashion and more recently Disney covers. These are things I normally struggle to share with others, but I’ve been trying to not let myself get held back from fear of being judged by others. D: YouTube can be a great way of overcoming personal hurdles can’t it! So many people improve upon their public speaking and confidence through it. Could you tell me a bit about your offline life? A:I’m currently 20 and from Cambridge, but I study Computer Science at Newcastle University. I’m also part of my uni’s competitive cheerleading team and we have our first competition of the season next month! What got you into creating content? And what keeps you making it today? A: I really love how creative is it, I’ve always enjoyed doing projects so with YouTube I’m doing every aspect like planning, filming, editing etc. This is actually my fourth YouTube channel but the only one I’ve stuck with uploading regularly so I’ve been interested in this platform since I was about 14. I’m inspired by other creators and strive to create content as good as their’s one day! Also I like seeing how far I’ve progressed since I started and it gives me confidence to grow even more. D: Oh wow I didn’t know you had tried YouTube so many times before! A: Yeah it’s all cringy stuff so I try to pretend it didn’t happen! D: What is your creative process like? A: I always carry around a notebook with me so I can write down any ideas I have. I try to sit down and brainstorm at least once a fortnight, then I try to schedule a day to film and then another day to edit. It can be a challenge juggling uni and YouTube but I’m slowly working it out! D: I’m sure you will! Are there any parts of the creative process you struggle with? A: I think it’s usually just time for me, I get so carried away with some videos that my uni work ends up being sacrificed, I wish I could just make videos everyday! Editing can be a challenge as well, but I enjoy watching tutorials to learn more. It’s also frustrating when you have an idea but whenever you film it it’s not quite how you saw it in your mind. D: I completely relate to you there, classic expectation vs reality moment! A: My uni saw my results day story video and asked if they could use it to advertise on their website which was pretty cool! I’ve also been able to meet like minded people and make some pretty good friends. D: Oh wow that’s awesome! That’s an uncommon one! Have you got a particular moment or video that you’re proud of specifically? A: My favourite video I’ve done is probably my Rosalina cosplay makeup tutorial because I experimented with new editing techniques and I’m really happy with how it turned out. D: It is a really great video. How do you find a balance between your life and your creating? A: I try to use my breaks as time to film/edit videos which keeps me being productive as much as possible, it is very difficult to not get carried away though since it’s so much fun. D: I find it so easy to caught up in the flow of it, it can be hard to snap out of it when you’re limited for time. Do you have 5 influencers who have affected you and your content? A: Jodi Benson – The voice of Ariel from The Little Mermaid! She inspired my love of voice acting from a very young age. 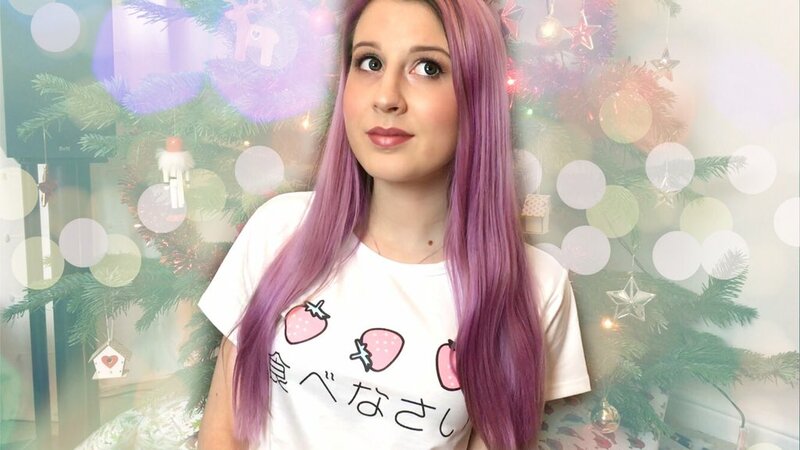 Noodlerella – She was one of the first YouTubers I watched and it’s actually her that got me into anime! I’d definitely say her channel inspired me to start my own. Jessica Nigri – Through her I found my passion for cosplay and she influenced my decision to start making my own! Heather Traska – Her one woman acapella Disney medley completely blew me away! Her videos encourage me to push my video editing skills to the next level and I’m actually working on something at the moment inspired by her style! My mum – Because she’s always encouraged me to be creative and most importantly be myself. D: What is your Hogwarts house? D: Do you have a favourite musician/artist/band at the minute? D: I bet you’re loving the new tracks! A: I am, they’re amazing! D: Finally; do you have an all time favourite film? A: Hmm my all time favourite would have to be The Little Mermaid or My Fair Lady! Thank you so much to Adelicate for joining us today!! Make sure to follow her on Twitter and Instagram, and to subscribe to her YouTube channel!